The West End and Route 9 Concept Plan presented in September 2016 and the Recommended Plan presented in March 2017 generated a great response with dozens of community members attending each of three public meetings. Metro Transit received nearly 200 comments from 142 individuals. A Recommended Plan was approved by the Metropolitan Council on April 26. Based on comments received, staff reviewed several options for retaining service on Route 9B and 9H while staying within budget and achieving primary project goals. The Final Plan addresses Route 9H and 9B customer concerns and achieves overall project goals while being sensitive to existing budget realities. The scope of the project has been widened to include changes on Route 25 along France Avenue. • Retain limited Route 9B service on Glenwood and Xenia west of Penn Avenue with two weekday A.M. peak period trips to downtown and two P.M. peak period trips from downtown operating on a demonstration basis. >View the Transit Study Recommended Plan Presentation. 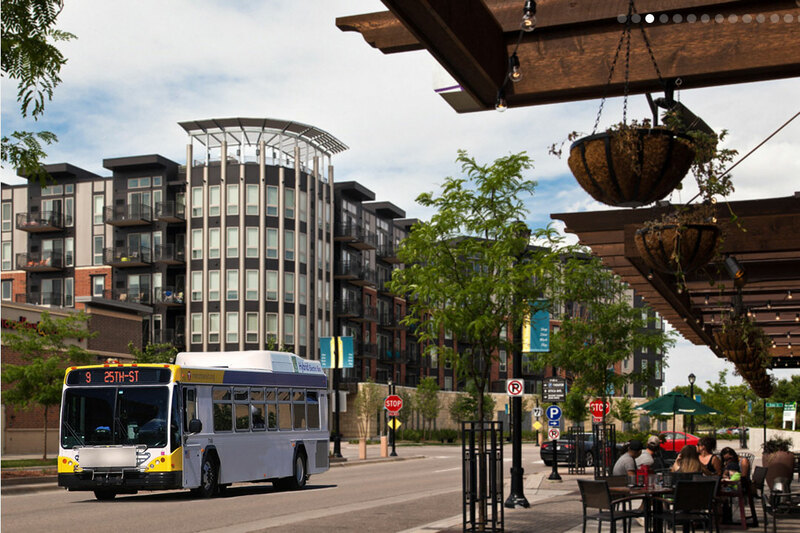 The Final Plan simplifies Route 9 west of downtown, eliminates underused or redundant route segments and improves service from downtown Minneapolis to the growing high-density job and residential opportunities in the West End development near I-394 and Highway 100. The affected route areas are Route 9 west of downtown Minneapolis, Route 25 along France Avenue, Route 604 east of Louisiana Avenue Transit Center, Route 649 and Route 675 east of Louisiana Avenue Transit Center. The West End and Route 9 Transit Study Public Engagement Plan and Summary details past and future community outreach and engagement work related to the project. Stakeholders can use this to gain insight into overall outreach activities related to the study. The Federal Transit Administration requires transit providers to conduct a Service Equity Analysis for major service changes such as those included in the West End and Route 9 Recommended Plan to ensure that the changes do not create disparate impact for low-income persons or communities of color. Chapter 4 of the project report includes a summary of this analysis. The full Title VI analysis is available here.